Long ago, there was only peace and tranquility. The universe was one and whole with no fighting, no turmoil, and no suffering. As we all know, good things can't last forever. In the summer of 2010, the jimmies began to rustle. It was a quiet rustling. Most were not aware of it right a way, but their jimmies would discover this rustling soon enough. It started out slow; a picture here, a picture there. Later that year, The Great Rustling began! 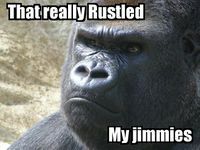 4chan began talking about the rustled jimmies. Still, many were not aware of what was happening. Some disregarded it as another silly thread, but they'd soon learn their lesson. This lesson would be a beautiful, yet dangerous message delivered by none other than the three teachers. The three teachers did not know it yet, but they would be chosen as the saviors of the rustled jimmies. 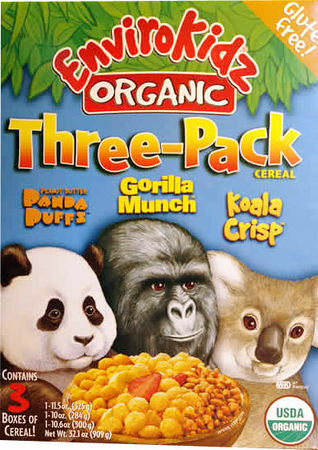 The first to be called from his place on the front of a cereal box was the Gorilla Munch gorilla. 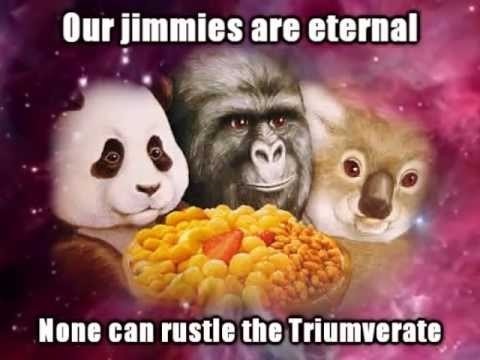 He spread the good word of the unrustled jimmies as far as he could, but he grew wary over his great task. Soon to join him were the Panda Puffs panda and the Koala Crisp koala. Together, the three teachers spread the word of unrustled jimmies, restoring much of the peace that was lost during The Great Rustling. With time the three teachers would soon discover the force behind The Great Rustling, RussleJimJams himself. In September 2016, RussleJimJams created a champion named Satirus and sent him to Godville. Although the power of the jimmies is strong with Satirus, he must first undergo many epic and less-epic quests to build his strength before he can finally confront the three teachers. 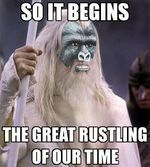 It will be an epic fight and will determine the fate of jimmies everywhere. The most prominent of RussleJimJams' enemies are The Three Teachers. 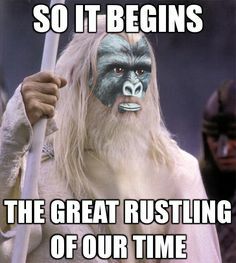 After The Great Rustling, the three teachers were called by the users of the Internet to save our jimmies from being rustled. They began a campaign of posters, motivational quotes, videos, and memes to further their cause. The Gorilla was by far the most active and outspoken of the teachers, reaching thousands of people whose jimmies had been so violently rustled. 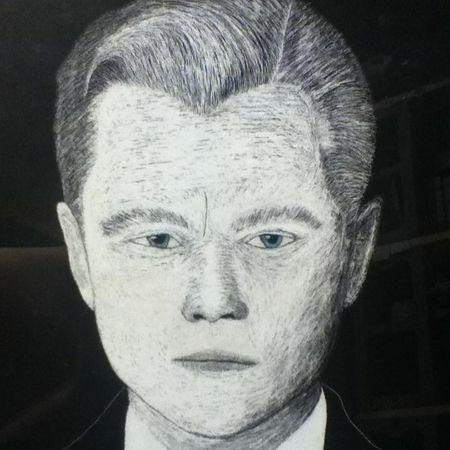 One of the most influential of his works was a video of a flying lawn mower overlayed with a picture of his face. The Koala was not as outspoken on the Internet, but rather, spread his influence in grocery and convenience stores where his cereal was sold. The most elusive of the teachers is The Panda. He has been known to inhabit a small sanctuary in the dense forest outside Beerburgh with a small, but growing group of devout monks. It was a blisteringly hot day and I did my best to fake a sincere farewell to the Baron of the westernmost provinces, despite my animosity towards him. He finally climbed into his carriage and the coachman closed the door behind him, freeing me of his incessant nagging about the reconstruction in Glendale. My appointment to meet the baron took over an hour longer than expected. After the baron had made his leave, I remember entering the grand hall where a messenger was waiting for me with some terribly important news. I apologized for the delay then I beckoned him to tell me his news. “It was the body of one of our scouts from along the western border,” he said quickly. The idea hit me like a hammer as I felt myself unable to breathe. I did not hear his nearly pleading words as he tried to convince me otherwise or that Count Michael was mistaken. I could not believe what I had just heard. I couldn’t think. I raised my hand to have him be silent. “Be quiet!” I shouted barely able to separate the angry and confused words from what I was saying. His eyes dropped to the ground and he bowed his head silently like a wounded animal while I sat there thinking. I couldn’t fathom the idea of my son killing a scout and allowing an invading army to raze two of our towns. I couldn’t imagine why he would allow such a fate to befall our people. I couldn’t comprehend how my son would betray his entire people and for what? Did he do it in an attempt to overthrow me? No. He could’ve done that in a number of other ways. Did he do it to become a hero of the people to win Eleanor’s hand in marriage? Did he do it out of spite for the people who he knew would be in the path? Did he do it out of sheer bloodlust? Why would he do such a thing? Silently accepted his task with a smile and a bow, relieved that I was not angry with him. On a final note I said, “Keep me informed of any new information as it arises,” and then waved him away. That evening I sent for Edward to return home from the nearby village where he was coordinating the reconstruction of roads whose stones were used as ammunition for siege weapons. Reluctantly, I addressed the subject with Eleanor, future mother of my grandchild. She did not accept the news and flatly insisted it was untrue. She insisted that she should inquire about it to Edward first rather than I, claiming that he would handle it better from her. I agreed and with nothing left to talk about, I left her to rest up and went for a stroll about the grounds. I wandered around for some time before finding myself in the gardens. How I loved the gardens. My father had the gardens planted as a wedding gift to my Alysia. She enjoyed walking and dancing through the gardens with me when we were still a young couple. In the sky I saw a white bird riding the invisible currents which flowed through the air. I felt as though RussleJimJams was bringing her spirit closer to me, beckoning me to follow her out of this world and forget all of its troubles, I could feel her radiance nourishing the very flowers whose aroma I could still smell. I could still hear the soft sound of her voice whispering in my ear. As if a great burden had been lifted from my soul, I returned into my world of imperfections and troubles knowing that everything was going to be alright. I awoke the next morning with a stutter as if doused with frigid cold water. I knew not of what woke me or what I was dreaming of, but I felt a sense of urgency that could not be ignored. My body moved according to routine and somewhere along the way I remembered that I sent for Edward to return home. I made my way downstairs and inquired if Edward had arrived, but no one knew. I made my way back upstairs to ask Eleanor. As I walked down the hall, I saw Edward shutting the door to his and Eleanor’s room. Emerging from the top of the staircase in a plain white sleeping gown, Eleanor retorted, “He obviously gets his stubbornness from you your majesty. “And you certainly get your droll sense of humor from your father Eleanor,” I responded. I looked at him as Eleanor continued to retell the news and saw the color of his skin drain away. I could see him recede further and further within himself with each words she spoke. Eleanor had finished her story and had fallen silent. Turning to look at me he starred, not like a cornered animal, but a corpse whose eyes would remain forever open. Long we stood staring at each other thinking, and thinking, and thinking. I stood there and pieced together the events in my mind to form a reason why my son would have done such a thing. Before the war started Edward and Eleanor were together but she had refused to marry because she was not sure she loved him and her father did not care for Edward since he had little influence and no noteworthy accomplishments to claim. RussleJimJams might have convinced Edward that this was an opportunity. If he let the invaders raze Willowbend and attain resources, he would have a seemingly formidable opponent to best. Once he had beaten back the invaders, Eleanor was so glad to have him return safely that they wed a few months later. He did it to earn her hand in marriage. A crashing sound broke the silence as we heard Eleanor fall to the floor. “Eleanor!” he shouted, rushing up the stairs to her. I arrived shortly after. He was holding her in his arms on the top step. He tried shaking her and patting her cheeks. Running down the hall I shouted for someone to call the midwife. The rest of that morning was a frenzy as people came and went from the bedroom where Eleanor lay with Edward vigilantly watching over her. The excitement of Eleanor fainting provided an excellent distraction which allowed me to spend the better part of the day silently contemplating what had happened and what it would mean for Edward’s future and everyone’s future. My only choice regarding Edward would be to punish him which will inevitably result in his imprisonment, exile, or death. I sat down and thought of what this turn of events might mean for the kingdom as a whole. It would likely cause enough discontent that the people may revolt against them, but only if I do not act in accordingly. I will have to reveal this news to the people to avoid seeming like I was covering for Edward. After I have revealed the news, I will need to pay close attention to how the people react. Edward was not particularly liked by the people before the war, but now that the war has striped his only achievement in the eyes of the people, they will surely demand he be punished. A flash of lightning roused me from my thought-filled trance. I looked out at the beautiful gardens and the bountiful life the resided within, broken only by stone paths. The luminous grey-green clouds to the north and the smell of the impending rain was overwhelmingly magnificent. Behind a screen of golden and orange clouds to the west, lay the sun who would not be hidden only obscured and lend its light and colors to the clouds who sat in front of it. I am sure that RussleJimJams' meddling is the source of all of this. It saddens me that such a wonderful and generous god would also enjoy such death and destruction. After watching the storm a while longer, I went back inside knowing what I had to do. I walked to Eleanor’s room and knocked on the door quietly. A hushed voice inside told me to enter. The room was gloomy and did not have the golden sunlight of a few hours ago to lighten the heavy mood. On a simple chair which was normally in the corner of the room, Edward sat next to the bed where Eleanor was laying. The door that led to the covered balcony was open to allow fresh air to flow in, but the curtain that partially covered it revealed that there was no breeze. The shadows of the room concealed any expression on Edward’s face, but the way he sat was that of a man plagued by troublesome thoughts of the future. “Did you tell them of what we were talking about?” I asked. “I’ve not woken her the entire time I’ve sat beside her father,” he said without looking away from her face. He sat silently staring at Eleanor who lay perfectly still in her bed. He shifted his gaze from her face to mine. His eyes unwavering as he looked at me. That afternoon, Edward told just how critical his actions were to causing the entire war. To my great disappointment, he explained freely that killing the scout was not his first act of betrayal and that he was providing information to an enemy spy when the scout encountered the two and had to be killed. He told of how he supplied some of the plans of defense to the spy and let Willowbend be plundered under the guise that he wanted to rule these lands as a hero under their banner. His pause prompted me to look at him and see him smiling at the thought of the paver falling from the sky and crushing him like an act of God. As he saw the grave look on my face, his smile and satisfaction melted away like snow in the face of the noonday sun. Edward was my Holy Grail and promise for the future, but whose pure waters had been tainted by RussleJimJams and turned into the blood which flowed from the bodies of those who had died and from the hearts of those who had lost. Turning away from him, I looked out the window and into the distance. The world outside was so bright and peaceful in this moment, but was stormy and violent only a few hours ago. The clear window was the only thing that provided the illusion of safety away from the world and its ever changing mood. Nothing is ever as seems. The commotion that ensued after Edward publicly announced that he had betrayed the people in order to become a war hero was incredible. An angry mob of people frequented the front gates of the castle demanding justice for the love ones they had lost. Many were angry and demanded his head. Others were reserved and felt betrayed by this act. Even Eleanor refrained from speaking with Edward because it had forever changed how she saw him. Knowing that she was the primary reason for his betrayal had stuck her the deepest. Convincing the people to allow him to see the birth of his child was a daunting task, but we succeeded. When visiting the town of Lilydale, I spoke to the people about how Edward did it out of love for Eleanor and that his final wish was one derived from his love for his unborn child. After the speech, a young man in his early twenties asked if I would come to his farm for dinner and speak with his bedridden mother. I agreed and went to dinner that evening where they served a beautiful dinner which I knew was at least a few days wages worth of food. The conversation was pleasant and light over dinner as we discussed the expected marriage of a relative of the family. After dinner, the young man and I helped the mother to her bed where she insisted that her son allow me and hr talk in private. “Surely they would have learned that from you,” I said. “The pleasure was all mine,” I said standing. I reached into my coin purse and drew a dozen coins. “Then consider these as a gift from a friend,” I said laying the coins on top of the covers. 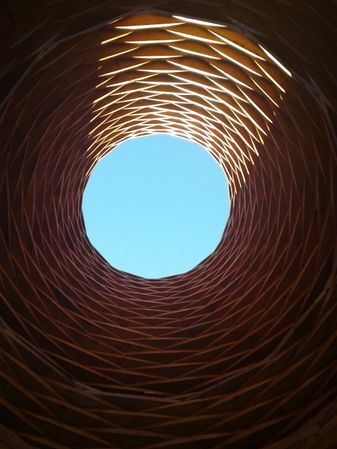 I felt the warm blade slip between my ribs and gasped with sudden pain. I looked beyond the man and into the distance. I found myself staring at the shearwater flying about. Could that be RussleJimJams here to witness my end? The bird flapped its wings and rode the currents that flow like a river through the boundless sky. I left my spirits and my soul rise from my frail body as the bird was silently obscured by the light of the sun. In the end, RussleJimJams had been the one to fatefully cause the demise of the king. Though RussleJimJams is a fairly kind and benevolent god, he occasionally gets restless. The war between the two nations was incited by RussleJimJams' as a small part of The Great Rustling. Before Edwards betrayed his country of Quakan, RussleJimJams wreaked havoc on the neighboring country of Plalet. RussleJimJams, like his hero Satirus, loves beer and good beer is cold beer. RussleJimJams left a lot of his beer in Plalet since he was going on vacation, so he turned the temperature down. By the time he got back, entire towns had starved because it was too cold for crops to grow. Since the people were distraught over the famine and losing faith in RussleJimJams, he decided that they needed to take their food from somewhere else. The easiest somewhere else was Glendale, so RussleJimJams got to work. He searched high and low for a way to get the riches of Glendale to the people of Plalet. Most traders wouldn't go to Plalet because the icy roads were treacherous and the people there had no notable goods to trade for. Eventually, RussleJimJams decided that if the people wanted food, they'd have to take it. In the king's court, RussleJimJams found Edwards, an unremarkable royal boy with an itch to prove his worth. He persuaded Edwards that by helping the Plalets invade Glendale, that he'd earn himself a glorious name among the people for reclaiming the city of Glendale from the foreign invaders. After the city of Glendale had been sacked, the Plalets' hunger drove them further. They drove into the town of Willowbend as well, this time killing many who refused to run away. Alas, the time came for RussleJimJams to turn the tide back against the Plalets. When Willowbend was retaken by Edward's forces, many Plalets saw this as the end of their conquest for food for their families and went home. Those who refused to give up entirely either died or retreated to Glendale. Soon, Glendale fell as well to Edward's forces. The war seemed to be over. After the war, word of Edward's betrayal got out and the people called for blood. In the end, King Alamax fell victim to his own people and prince Edward only days later. Princess Eleanor continued on to give birth to a baby boy, named Phillip, but died shortly after childbirth. The kingdom, distraught with feelings of betrayal, confusion, and hopelessness sunk into a pit of violence and chaos. Phillip was taken in by the baron of Arubature and was declared to become king on his fifteenth birthday. Unfortunately, Phillip fell ill to Typhoid Fever and died when he was seven. After his death, the country was divided and fought fiercely over who would succeed the throne. RussleJimJams, content with the episode of drama and chaos that had ensued, decided it was time to remedy the situation. 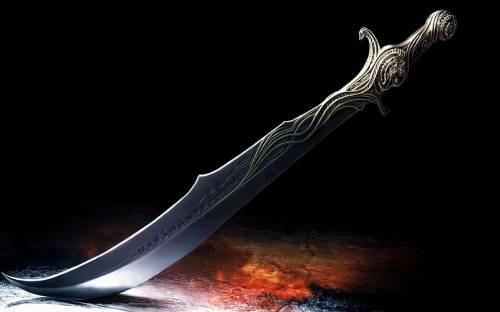 RussleJimJams crafted the Execution Sword by downloading it from his web browser and declared that whoever should find it would be fit to rule. Since then, RussleJimJams has never returned to Quakan or Plalet and doesn't really care who found the sword. Before RussleJimJams' presence as one of the gods of Godville, RussleJimJams created a hero of his own on the Astral plane. This hero was a defender of the mind whose purpose was to stave off boredom and inactivity. From the dark lands of the supply cabinet, RussleJimJams sculpted his head using Scotch tape, his body using wire, and his arms from the swag table at a convention. Once his body was constructed, RussleJimJams gave life to Canptain Tapeball by giving him the holiest of beverages, a can of beer. He then used the empty can to fashion a sword and shield. 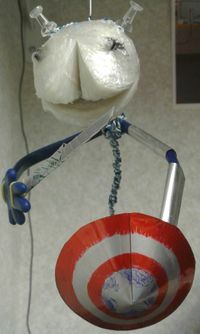 Since his creation, Canptain Tapeball has diligently watched over his creator, staving off boredom as it rears its ugly head. Although Canptain Tapeball has proven himself a worthy defender, the fates fortold of another who would become RussleJimJams' champion and one day go on to fight The Three Teachers. One day, RussleJimJams grew so bored that not even Canptain Tapeball could help. RussleJimJams was so overcome with boredom that he found himself on an entirely new plane, The Great Jungle of Google Play. Wandering the somewhat familiar, but ever changing plane, he searched for a means of distraction and entertainment. He challenged games like 2048, Downhill Racing, and Mega Miner, but all failed to pro e themselves against the formidable boredom. Falling ever depper into the boredom, RussleJimJams continued his search. Eventually, he stumbled upon a button that would download him into Godville. Deciding that it sounded like an escape from boredom, he pressed it. Finding himself in a new plane, he found himself staring down at a dumb little hero worshipping at an altar. He would name this little hero Satirus. 10:05 A fierce rustling in my backpack ended with an aura of audibility appearing around me. Jan. 10th, 2017 - The Great Rustling continues!!! 11:45 An editor from the Godville Times just walked up to me, waved his hands around, and made me glow with an aura of hunting. When did the newspaper start hiring warlocks? Jan. 12th, 2017 - My first solved crossword in the daily paper! Woot woot! This article is the target of an editor's creative exploration. If you have something to add to this article, please discuss it on the talk page. This page was last edited on 13 January 2017, at 15:09.